We believe in the liberatory potential of song and the importance of a vibrant Jewish singing culture. Let My People Sing! brings together singing traditions across Jewish time and space-- from ancient to contemporary music, and everything in between. We sing in Ladino, Hebrew, Yiddish, Judeo-Arabic, Aramaic, and in languages from around the world— wherever Jews dwelled in diaspora, they sang, and we are still singing! Our project includes restoring lost or broken lineages of cultural and ancestral transmission, and simultaneously elevating, celebrating, learning and teaching the incredible new music coming out of our communities. Through this work we connect to our spiritual, familial and chosen ancestors, we heal trauma, and we deepen our human interconnectedness. At Let My People Sing! everyone can be a leader and a learner of song. Our retreats are a place to practice and develop leadership and new skills with the support, mentorship, and love of the core team, the teachers, and the entire community. Our vision is for more kinds of people to learn how to embody and lead Jewish music and tradition, transforming us individually and transforming Judaism as a whole. This is a project of spreading seeds of song that go out into the world to sprout new singing communities and a justice-based singing culture far and wide. We create retreats where people can experience the potential of liberation by connecting closely in communal spaces. Let My People Sing! is raising funds! We'd like to keep running these retreats, be able to offer more scholarships, do outreach to more communities, and create higher quality sound recordings so that we can all share our singing resources online. 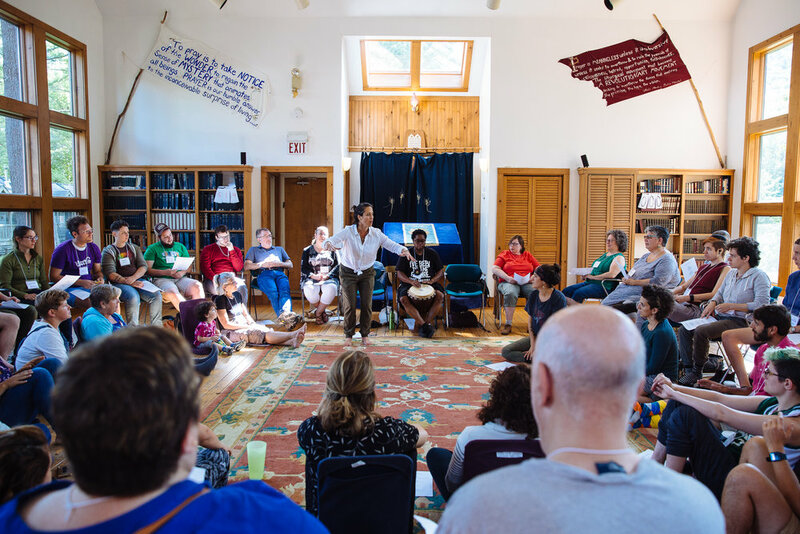 This is a complicated time to fundraise for a Jewish singing retreat, because we know there are so many urgent needs to fundraise for in this current political crisis. What we do know is that song is a resource that fuels social movements, and we hope that these retreats can serve in exactly such a way -- to build spirit and resilience for the long road of struggle ahead. We want to do this with you for a long time! To support us monthly through patreon, click here! To make a one time donation through our fiscal sponsor, Jews for Racial and Economic Justice, click here. Checks can also be mailed to JFREJ with "Let My People Sing!" in the memo line.